We’re a few months into our first year of homeschool now and so far it’s going great! The days may not always go as planned but she LOVES to learn and is soaking it all in. What I’ve learned is that, like most younger children, she is a hands on learner. She loves seeing what she’s learned in action or reinforcing a skill with a fun game. Luckily, there are lots of hands on activities and games that can be purchased or made pretty easily (Yay for Pinterest!). The problem is those activities can often be expensive to purchase or buys supplies for. Even if you have all the supplies on hand, you’ve got to take the time to make them. Or, if you purchase them, you’ve got to find a place to store them. It can become overwhelming very quickly. 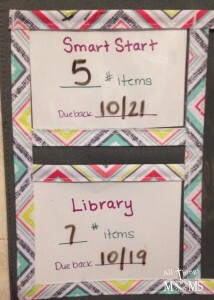 A few years ago, we were introduced to the perfect solution- Smart Start Resource Center! Smart Start is North Carolina’s early Childhood Development System. It focuses on helping children from birth to age 5 reach their full developmental potential. One of the programs included in the system is the Resource Center. 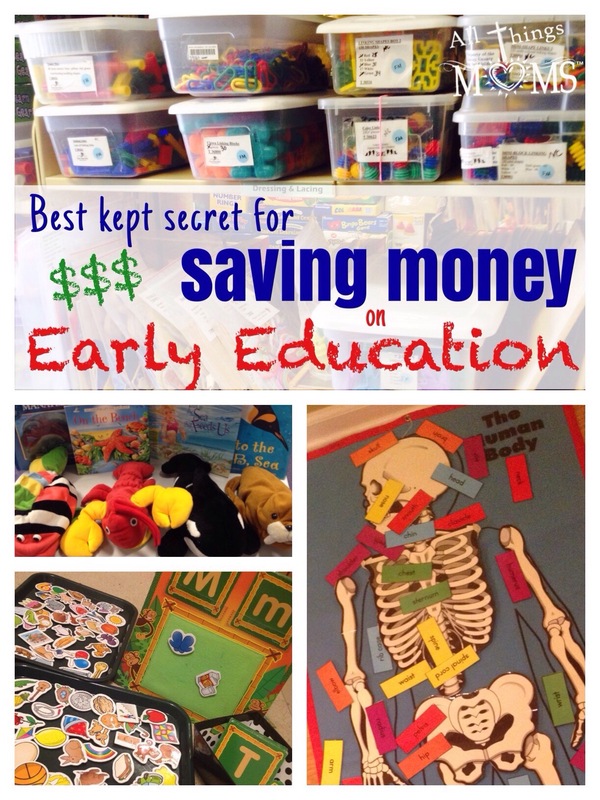 The SSRC is basically an early education lending library for parents, teachers and daycare workers in their community. 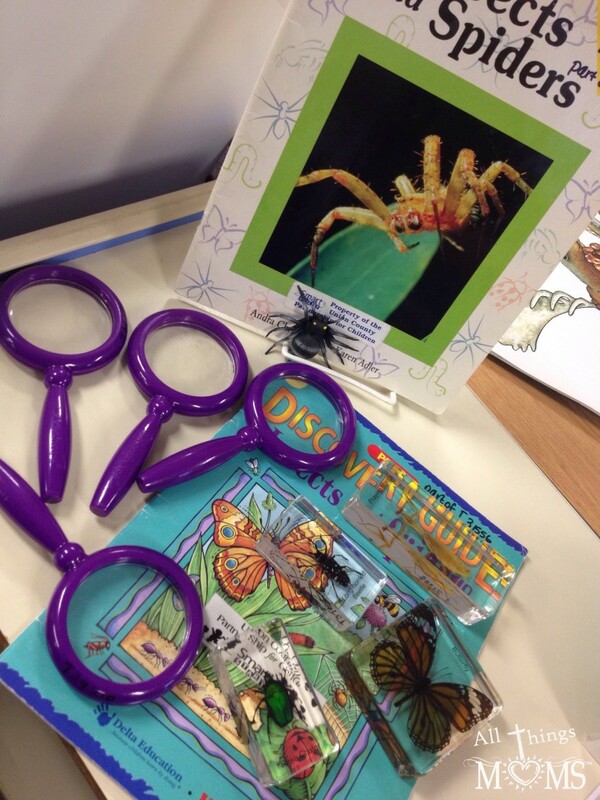 It’s the perfect solution for hands on early learners when you have limited budgets or space. For $15 a year, we can check out 5 things at a time from our local branch. 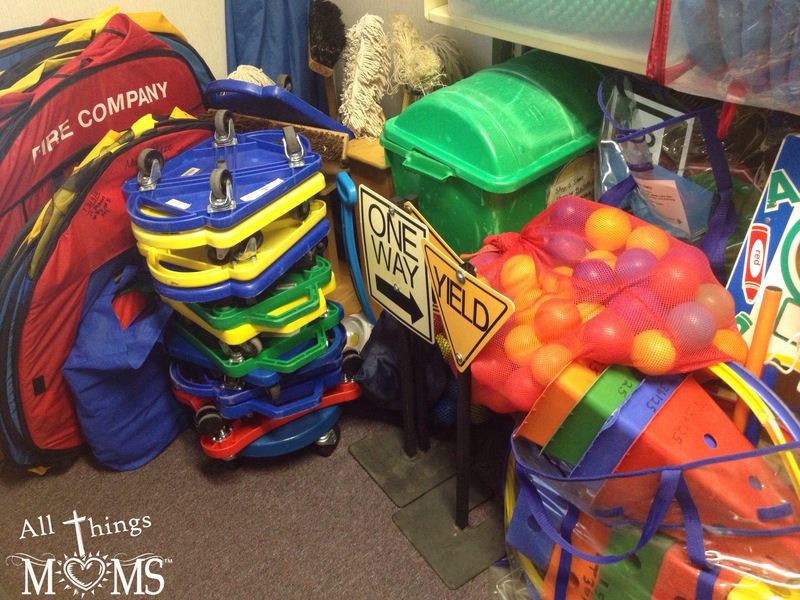 Items can be kept 2 weeks each and renewed once so you have plenty of time to play with them and have fun while learning. I love my bi-weekly trip to the SSRC. I usually pick a time to go kid-free so I can really take time to look around. I can plan the lessons around what I pick out or go in with a lesson plan and pick items that would go along with it. 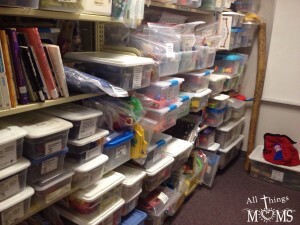 They have a TON of items so I can always find something to make learning fun! Our local branch also gives access to a paper punch with several templates and a large laminator for a small charge per use so I can cut or laminate anything needed to go along with our lessons while I’m there. Once I get them home, I keep all borrowed items together in a special spot in our office. We have a rule, only one down at a time and none of them leave the room without my permission. 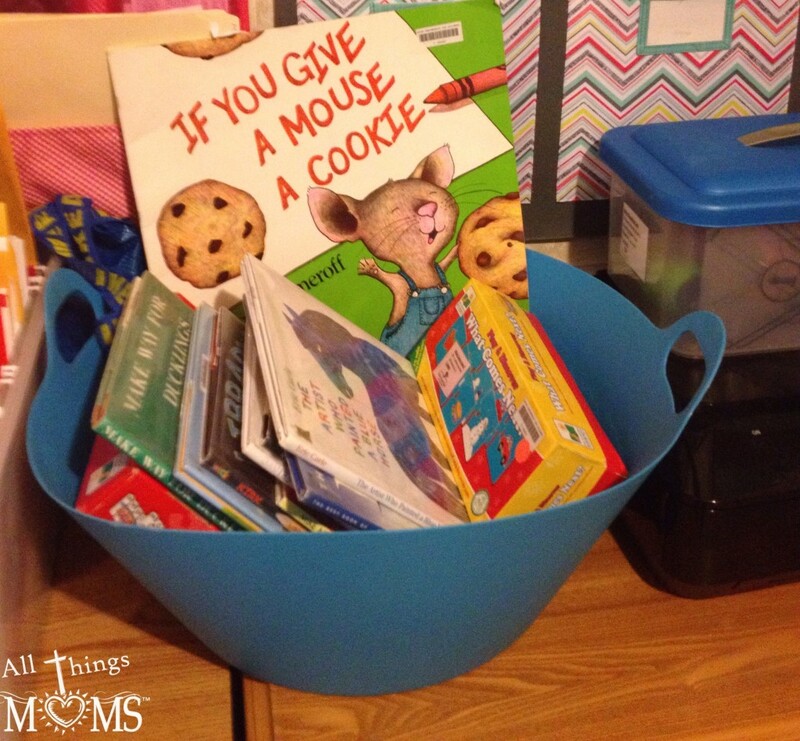 I stack the larger boxes on the desk and place smaller ones in the bin, next to them and below my wall organizer. On my wall organizer, I’ve made a special area where I can keep my receipts, post the date the items are due back and how many I’ve checked out. 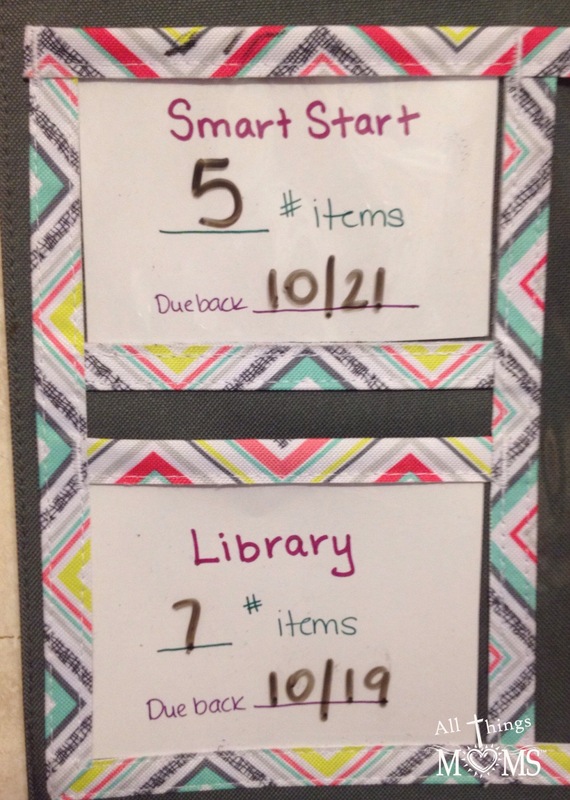 I use the same system for our library books, it helps me make sure I get everything back on time to the right place. I’ve been surprised by the number of friends who didn’t realize this resource was available to them. 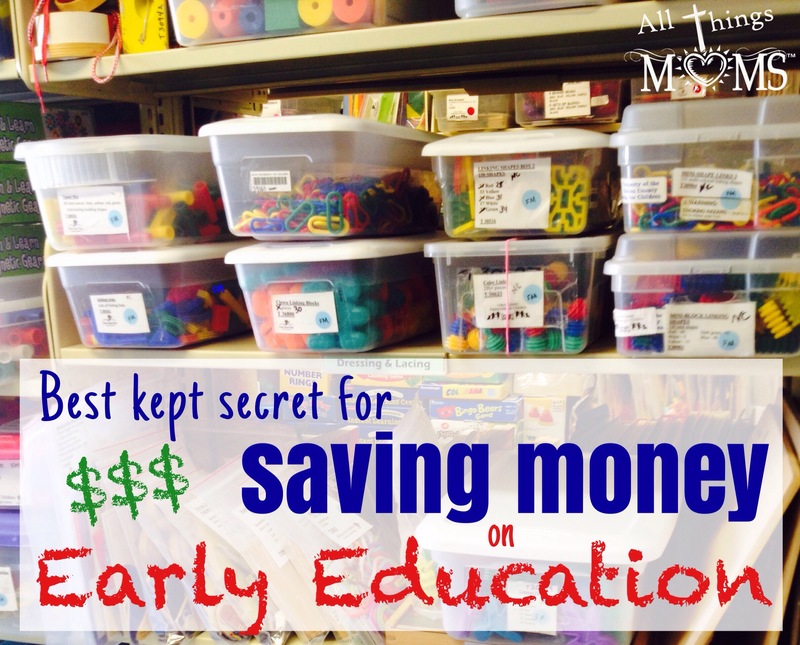 It’s one of those best kept secrets, but not anymore, I hope! I’m letting this little secret out of the bag because I want more people to be able to benefit from it and I also want to see this program and others like it continue. You might be surprised that you have the same or similar resources in your area too! North Carolina residents– Check this list to find the resources available to you by county. – Search online for family resources and services available in your city/state. – Contact your states Early Childhood System. The name of the system varies by state, here are a few examples. – Contact the Lead Child Care Resource & Referrals (CCR&R) agency. Every state has one of these and they should be able to help you find the resources you are looking for. – Ask at the public library if they know of or have any similar programs. Typically these systems are housed in one of 3 areas – Department of Education, Health and Human Service, or Governor’s office. If you strike out with the above, try contacting those 3 agencies and asking what’s available. I hope this encourages you to find similar resources near you too! wow! That is an awesome resource. We have something similar in OK and I have actually been thinking about ustilizing it. After reading this post, I am definitely going to give it a try. Thank you! Awesome Kristi, I’m so glad other states have these types of resources available! It really is nice!